Dr. Edwin C. Augustat, M.D. Dr. Lena Chu, M.S. O.D. Dr. Danny P. Mathew, O.D. Home » OD » Dr. Lena Chu, M.S. O.D. Dr. Lena Chu, the founder of Chu Eye Associates, enjoys a distinguished academic, scientific, and clinical career spanning over 30 years. 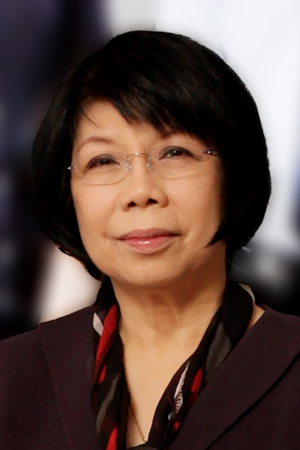 Chu’s original research has been widely published in leading medical journals, and she actively participates in the education of other doctors. Her work centers on the microscopic changes in ocular tissue caused by contact lens wear, ultraviolet radiation, pharmaceutical agents, and environmental pollutants. The doctor has received research grants from the National Eye Institute (NEI) to study drug-induced retinal degeneration simulating the human disease Retinitis Pigmentosa. She has presented the results of her research at numerous national and international meetings. Dr. Chu is credited with over 35 scientific publications. In 1996, the University of North Texas Health Science Center at Fort Worth named the “Lena and Robert Chu Electron Microscopy Suite” in her honor. 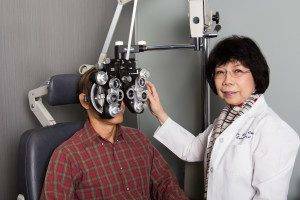 Dr. Chu is a member of the Advisory Board of UNT’s Health Science Center’s North Texas Eye Research Institute. 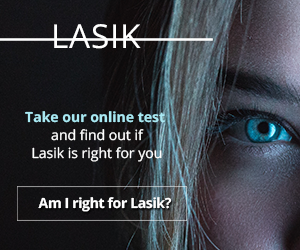 She is a founding member of the American Orthokeratology Association. Dr. Chu has been featured in the Outstanding Young Women of America Directory. She was professionally honored in Fort Worth, Texas magazine’s Top Docs issues in 2003, 2004, and 2005. Twenty years after starting her practice, Dr. Chu still enjoys every day and every patient experience. Originally from Hong Kong, China, Dr. Chu received her bachelor’s of science degree in botany from the National Taiwan University and then pursued further scientific studies in America. She obtained her master’s of science degree in microbiology from the University of Houston in 1972. Dr. Chu married her college sweetheart, Robert Sr., in 1973. From 1971 to 1977, Dr. Chu conducted research at the Baylor College of Medicine in Houston, Department of Neurology. From 1978 to 1979, she served as a senior research engineer at the University of Texas Health Science Center at Tyler and helped to establish the Electron Microscopy Laboratory for asbestos research. In 1980, Dr. Chu was recruited as a Senior Researcher at the University of Texas Medical School at Houston, Department of Neurobiology and Anatomy. She entered her doctoral studies of optometry in 1980 at the University of Houston. While a full-time student, she continued her research career at the college of optometry with renowned professors. In 1982, Dr. Chu received the Outstanding Research Award in Contact Lens Research from Bausch & Lomb. In addition, Dr. Chu has received numerous other scholarships and honors and was perennially named to the Dean’s List throughout her distinguished education. Dr. Chu completed an internship at the Hermann Hospital Eye Center at the University of Texas Medical School at Houston, where she worked with Dr. Charles Garcia, a renowned retinal specialist. Together, Dr. Chu and Dr. Garcia researched diabetic eye conditions in primates and the ocular effects of several developmental anti-cancer drugs. Looking to start a career? Apply here!